My friend Hunter Baker's book has been published. The End of Secularism is the duly provocative title. I have only so far read the Introduction and shall refrain from comment until I have read more, except to say that it starts out well. All readers should endeavor not to hold against Hunter that he attended Florida State. Also, no teasing him for being Doctor Hunter Baker. This ambitious work offers one of the most comprehensive attacks on secularism yet attempted. Hunter Baker argues that advocates of secularism misunderstand the borders between science, religion, and politics and cannot solve the problem of religious difference. University scholars have spent decades subjecting religion to critical scrutiny. But what would happen if they turned their focus on secularism? 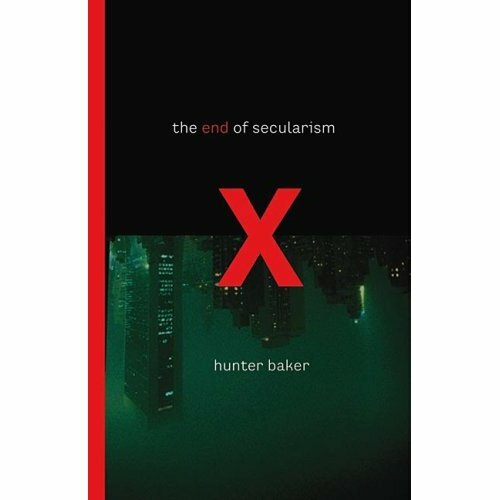 Hunter Baker seeks the answer to that question by putting secularism under the microscope and carefully examining its origins, its context, its claims, and the viability of those claims. HUNTER BAKER (PhD, JD) is a Christian academic and writer specializing in religion, politics, history, and culture. Baker serves on the political science faculty at Houston Baptist University and has written for a wide variety of publications including The American Spectator, National Review Online, Christianity Today, and the Journal of Law and Religion. Sounds good Paul, looking foward to the full review. I note that Dr. Baker has earned a JD. So that would make him Doctor Hunter Baker, Lawyer. I have made the joke about Doctor Hunter Baker many times, but I never thought of adding the lawyer part. What did my parents do to me? Dr. Baker: Sorry, I can't resist: what's your middle name? This has been the most comical string of replies I've ever seen. =) Also, I'm really interested in the book, so it's not all in fun! Imagine if his wife were a proctologist, then she could write a sequel, "The Real End of Secularism." :-) She is, however, an ob-gyn. And even I will not go there.